I attended Union Theological Seminary (after college), intending to have a career in teaching religion and philosophy. While in seminary, I was in an encounter group, where I was told I was really “screwed up.” As a result, I decided to become a therapist. In preparation for that career as a therapist, I attended the California Family Study Center for the MA degree; and later, the University of Southern California for a PhD. Addressing my insecurities as a young man, I have had twelve years of my own therapy over the last 45 years. I am thankful I became a therapist instead of teaching. Being a therapist, I spent my career working from my heart, with the hearts of my clients. Had I gone into teaching, I would have spent my life in my head, working with the minds of my students. Now that I am retired, I am spending the rest of my life writing about the heart (soul) and the head (consciousness), now “teaching” through writing about spiritual themes. Hence, my life has come full circle. Even though I was initially reluctant to become involved in the Mastery Circle, I began attending regularly in January 2014. Increasingly, I have found myself engaged in the process of meaningful mutual sharing, about matters of the heart. One Tuesday morning, I presented information from my doctoral dissertation and my clinical experience, on the complementary personality traits involved in “mate selection.” And, I have volunteered to share some of my favorite spiritual quotations at times, for the “spiritual reading” part of the morning. I also learned from them truthfulness. Whatever happened, they always wanted the truth and they were truthful with me. They were Jewish, but not very devout and they didn’t impose it upon me. They let me choose what I wanted, which at the time was no religion, so unlike my Jewish peers I was not Bar Mitzvahed. I wanted to be an actor and so they went out of their way to enroll me in the High School of Performing Arts. I then attended the New School of Social Research (today known as The New School University). The tuition was fairly steep and my parents helped as best they could. However, I took a job teaching drama at a small school in Carnegie Hall. I would teach the lesson that I had learned the day before at The New School. I then attended the American Theater Wing and The Actors Studio. By then, I had moved out and was living in Greenwich Village with a roommate, Mel Brooks. I appeared in a number of off-Broadway and way-off-Broadway productions, toured with a number of shows and then decided to give Hollywood a break. In order to supplement my acting income, I was in a number of businesses, among them was a retail ladies clothing store, where I met and became very friendly with Florence Henderson, who persuaded me to try Hypnotherapy. That was the best advice anyone ever gave me. I have not only been very successful with it — I initially did it for the money — but now I realize that I love helping people. I have the best of everything. I act and I do Hypnotherapy. I am truly blessed. I grew up in Pennsylvania and entered Penn State in 1951, where I was active in collegiate publications, fraternity life and “Lion’s Paw” — an honors group of twelve top students – where I met my life partner, Doreen, who received her Dean’s List degree in Special Education in 1955. We got married in 1957 while I was working for IBM, but soon thereafter, I joined my two uncles in their growing supermarket business. Children followed – daughters Jody Ayne and Shari Lynne and later, our son Jon. Later, we move to Philadelphia where I joined a direct-to-the-home marketing company to manage over 20,000 people as Executive VP. When the company was sold, the Safiers moved west to northern California. All three children enrolled in California colleges and I was asked to expand my Executive Recruiting skills as a partner in a growing firm. That partnership continues today with offices in Florida and Southern California. In 1987, our lives were changed forever. Our beautiful and successful daughter, Jodi, was killed in a dental accident while having four non-impacted wisdom teeth removed. The cause was misuse of the “Conscious Sedation” procedure. There was no effective state or national legislation regarding such a tragedy. Our family spent the next five years working on changing that. I organized a national TV, radio, print and educational campaign to educate the public to the dangers and potential solutions. With the support of Congresswoman Jackie Speir, we succeeded in establishing regulatory legislation in California and more than thirty states. We learned the hard way that two people can make a huge difference… but the loss of our child cannot be calculated other than to say that each day is so precious. Life moved on. Shari married Mitchell and they have Jason and Matthew. Jon married Susan and they have Jenna and twins Abby and Drew. We moved to Los Angeles – the best move of our lives – where we continue working, creating and mentoring – and have no desire to retire! In 1987, our lives were changed forever. Our beautiful and successful daughter, Jodi, was killed in a dental accident while having four non-impacted wisdom teeth removed. The cause was misuse of the “Conscious Sedation” procedure. There was no effective state or national legislation regarding such a tragedy. Our family spent the next five years working on changing that. I organized a national TV, radio, print and educational campaign to educate the public to the dangers and potential solutions. With the support of Congresswoman Jackie Speir, we succeeded in establishing regulatory legislation in California and more than thirty states. We learned the hard way that two people can make a huge difference… but the loss of our child cannot be calculated other than to say that each day is so precious. With over 35 years of engineering management, engineering systems integration and project experience, Tim’s professional expertise lies in integrating people, technology and work processes. Currently Vice President and Manager of Engineering at Parsons (Pasadena, CA). Tim manages a large multi-discipline engineering department, performing 1,500 projects for the Federal Government. Sample projects include Chemical Demilitarization of Vx Nerve agent, Nuclear Waste Clean-up, Alternative Energy Research, Department of Defense Military Base Operations and Intelligence, FAA airport expansions, Customs and Border Protection, and Department of Energy Nuclear Facilities. He serves on Corporate Task Forces for Global Talent Initiatives, Workshare, Engineering Shared Services and Sustainability Working Groups. Prior to that, he served as Parson’s Technical Director and Deputy Department Manager, where he deployed new technology on Infrastructure projects; integrated people, technology, and work processes; and was appointed by the CEO to lead a task force comprised of the Chief Technology Officer and other specialists to determine the most suitable “Emerging Technologies” for propagation across the Company Global Business Units. He had previously served as a consultant to the firm, providing technology adoption for the Architectural, Engineering, and Construction Industries. He developed and directed the Computer Integrated Engineering (CIE) effort which was a multi-discipline task force with the goal of providing automated data transfer between engineering disciplines and handled Lifecycle data management for large-scale P&C plants. Before Parsons, he was president of his own construction and real estate firm, Tim Piering Enterprises, which specialized in design, permits, subcontract management, MTO’s, procurement and construction management. In the military, he served as Company Commander and Battalion Construction Officer of the Marine Corps; and earlier as a Captain USMC with Top Secret Clearance. 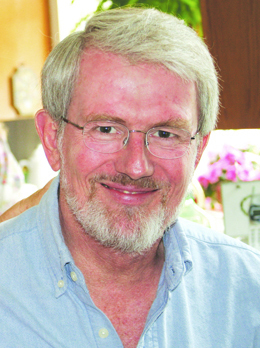 His education includes: California Institute of Technology Certificate, Technology Management ;University of California, Los Angeles ME, Masters in Engineering, Engineering Executive Program; University of Iowa BSCE, Civil Engineering; Loras College BA, Pre-engineering and liberal; with an affiliation with Chi Epsilon. His interests: Flying airplanes and helicopters (Commercial Pilots License); Chief Instructor Integrated Martial Arts; TRIZ creative problem solving and Innovation; Jungian Psychology; and Doce Pares Eskrima. 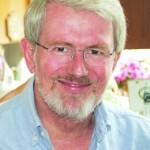 He serves on the Board of Directors, Pasadena Japanese Cultural Institute; Board of Advisors, Global Waste Research Institute; Board of Advisors, Engineering and Environmental Science Academy; Board of Advisors, Ideation International; President’s Executive Committee and Dean’s Advisory Council, Cal Poly San Luis Obispo; Los Angeles Doce Pares; Inside Edge and Mastery Circle Los Angeles. Tim was a founding member of the Inside Edge, the parent organization of Mastery Circle Los Angeles and is currently developing ACT III.